Wonderful, vintage B-24 Liberator Painting by Len Bush. 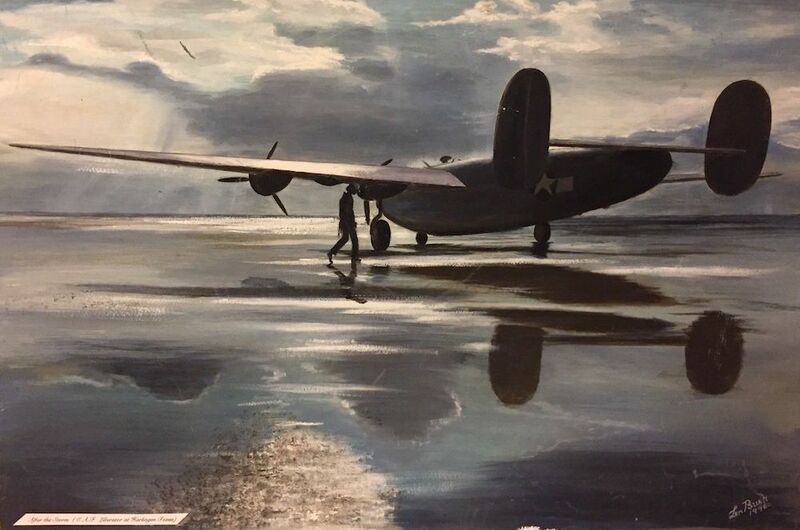 This painting is entitled "After the Storm" and it depicts a B-24 Liberator at Harlingen, TX. It appears to be Gouache on board. Approximate Image dimensions: 24" x 15"